Those reasons may show a certain rationality in Hamas’ refusal to accept a ceasefire. Wisdom and real concern for the innocents suffering under Israel’s bombings are far less apparent, however. Indeed, Hamas’ decision does exactly that. There will still be expressions of concern from various quarters, but for the most part pressure on Israel to stop its onslaught from the U.S., E.U., U.N. and even many Arab states will diminish essentially to zero. It is hard to imagine that the refusal is going to lead to a better deal. The only thing that might, and only might, do that is a massive uptick in civilian deaths from where it is now. Hardly something anyone would wish for. So, while Hamas may have had very good reason to reject this deal, it does not seem that rejection is a better option. Indeed, one may argue that accepting the ceasefire deal with certain reservations may have put Hamas in a better position. At least the massive uptick in death and destruction in Gaza would have been stemmed, even if temporarily. Hamas has issued a statement rejecting further Egyptian efforts to mediate a ceasefire. They will now accept only Turkey or Qatar in that role. Those are, not coincidentally, the only two significant states who support the political goals of the Muslim Brotherhood, which the new Egyptian regime joins Saudi Arabia and many of the Gulf States in despising. Egypt has now demonstrated that not only has its position on Hamas hardened since the ouster of the Brotherhood and President Muhammad Morsi, it is even more antagonistic to Hamas than Hosni Mubarak was. Given this, it is likely that the role Mubarak frequently played as a broker between Israel and Hamas is not one that the current General/President Abdel Fattah al-Sisi can assume, and this was a failed attempt to show that he could. This will please Netanyahu, who is surely seeing the new Egyptian regime as much more to his liking than anything that ever came before it. But it is going to complicate matters for the United States, all the more so as Israel is not likely to accept Turkey or Qatar as an intermediary. Without Egypt as a broker, the U.S. is going to have a much harder time stabilizing these periodic escalations between Israel and Hamas. This, again, may suit Netanyahu, who believes that U.S. President Barack Obama is much too quick to try to end conflicts. But it also makes Israeli decisions as to when to back off more complicated, as the U.S. will not be able to give Israel a way out that shields its leadership at least a little from the political fallout of ending these operations while Hamas is still in control of the Strip. Hamas is facing serious isolation. Egypt was surely never very sympathetic to Hamas, even when Morsi was in office. It is now even more firmly in the U.S.-Israeli camp. Hamas’ support for Syrian rebels and the slow thaw of relations between the United States and Iran has (to Netanyahu’s chagrin) cooled the Hamas-Iran relationship, and Qatar has had to back away to some degree from its support of the Brotherhood and its affiliates like Hamas due to pressure from other Gulf states. This is why, despite the forecasts by many that this latest round will end with the status quo more or less maintained, Netanyahu, and probably Mahmoud Abbas as well, believes a severe blow can now be struck against Hamas. Netanyahu believes, not without reason, that this can be done without resorting to the kind of all-out assault, and even re-occupation, which is being pushed by his right flank in Israel. Consider the Islamist group’s current position. It was already struggling to pay workers in Gaza and had been arguing with the Palestinian Authority in Ramallah about whose responsibility that was. Egypt’s harder line has been stifling the “tunnel economy,” which was the only method for bringing many goods and supplies into Gaza which Israel would not permit to pass through its blockade. Hamas seemed to have nothing but rhetoric to offer to deal with the situation, and it was losing standing among the Palestinians, both in Gaza and the West Bank. Islamic Jihad and other, more radical Palestinian factions, which Hamas was generally preventing from taking violent actions against Israel from Gaza, were accusing Hamas of abandoning its revolutionary ideals. Add to this the loss of much of its support from the rest of the Arab and Muslim world, in the wake of the decline of the Brotherhood throughout the region, and it’s not hard to see why Netanyahu believes that, even if the outcome of the current fighting is merely an agreement to go back to the way things were, he will still come out a big winner. 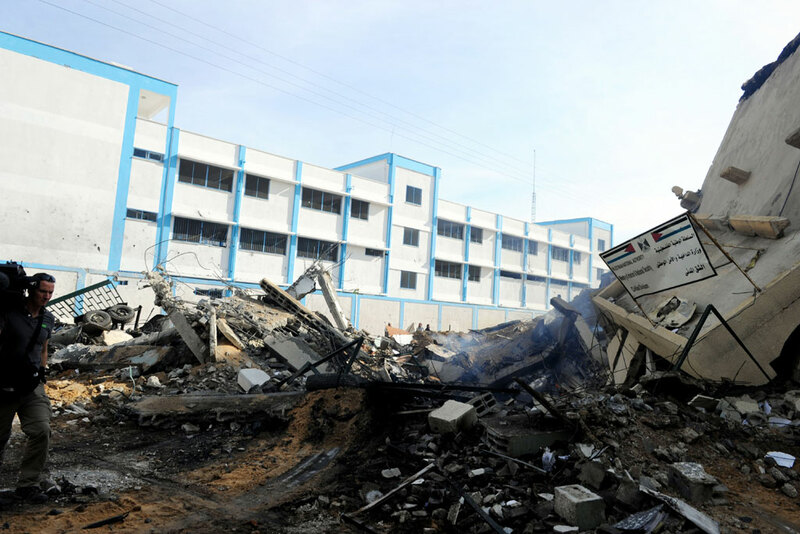 Hamas, Islamic Jihad and other factions engaged in the fighting in Gaza can certainly make the case that they have successfully stood firm under Israel’s attacks while demonstrating that they can shoot their missiles throughout Israel. The rockets being used in many cases were actually made in Gaza, along with what they have been able to smuggle in from outside. The fact that the locally made rockets include some of the medium range ones that have been penetrating farther into Israel than ever before is one reason Hamas is perhaps in less of a rush than one might think to stop the fighting. The calculus, though, is cold and fails on a number of levels. The most obvious failure is the suffering of the people of Gaza. Over 190 Gazans have been killed, the vast majority civilians. Yes, these deaths raise a great deal of anger among Palestinians against Israel, but to what end? There does not seem to be any victory, or even small gains, on the horizon for which these people are dying. When the fighting dies down, Israel will be the same villain in Gaza it always was, but people are surely going to wonder what gains were made that made prolonging the fighting worthwhile. And that is really the nub of it—there seems to be no hope for Hamas to make any of the gains it hopes to make, such as lifting the maritime blockade on Gaza or easing the border crossings. If they are hoping that other forces – such as those in Lebanon which have lobbed a few projectiles across the border and to which Israel has responded quite forcefully – will be opening another flank against Israel, they are not paying attention to other events in places like Syria and Iraq which are occupying the efforts of Hezbollah and other parties that might be willing to engage Israel. There simply isn’t an endgame that represents progress for Hamas. In 2012, when then-Egyptian President Morsi brokered an agreement, Hamas could claim a few minor concessions from Israel (which never really materialized once there was no pressure on Israel to follow through with them). There will be nothing of the sort here, but Hamas seems to be desperately clinging to the hope that it can extract something to base a claim of victory on. That’s a terrible gamble. It is much more likely that the refusal to agree to a ceasefire is giving Netanyahu exactly what he wants: the chance to deliver a blow to a weakened Hamas regime in Gaza. Hamas has given Netanyahu the means to do this without having to overcome the global opposition that was apparent at the beginning of the current fighting. Their refusal is understandable. Israel has repeatedly failed to live up to prior agreements, and this entire thing does look very much like a setup cooked up by Egypt and Israel. Still, it seems like the rejection of the ceasefire plays into Netanyahu’s hands even more than going along would have. Hamas was faced with two bad options. Some may say they chose the lesser of two evils, but it seems more like they chose the path that allows them to salvage some pride while losing more innocent lives and gaining nothing.